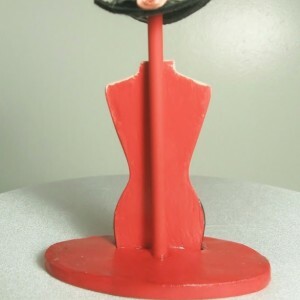 The Can Can mini dress form. 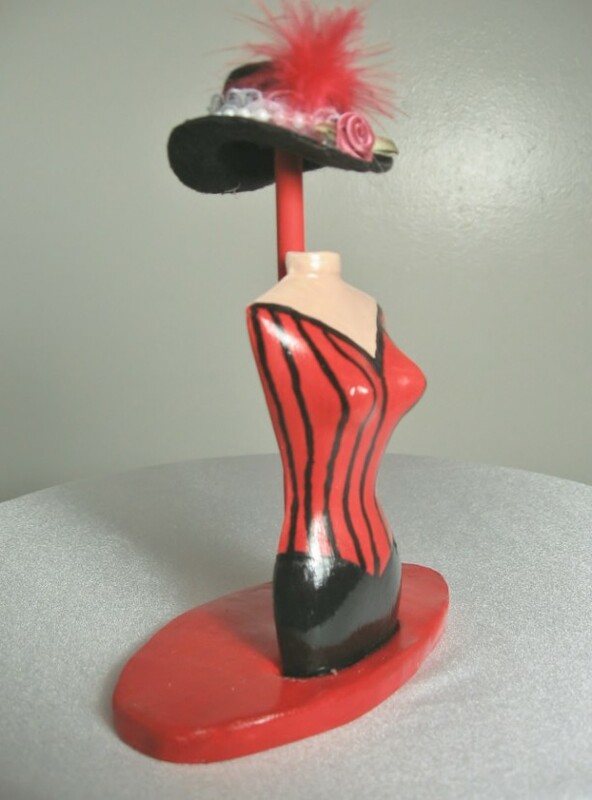 The Cann Cann is all ready to perform in a red corset with black pin stripes and black trim around the neck. 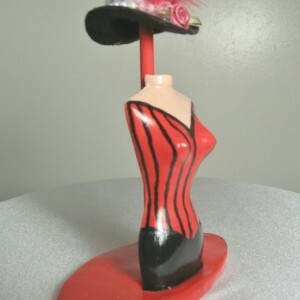 Lower half is hand painted black. 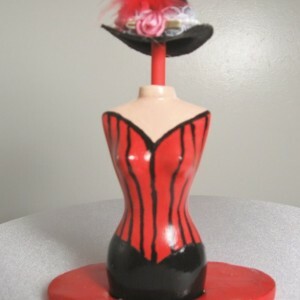 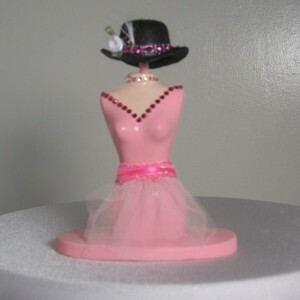 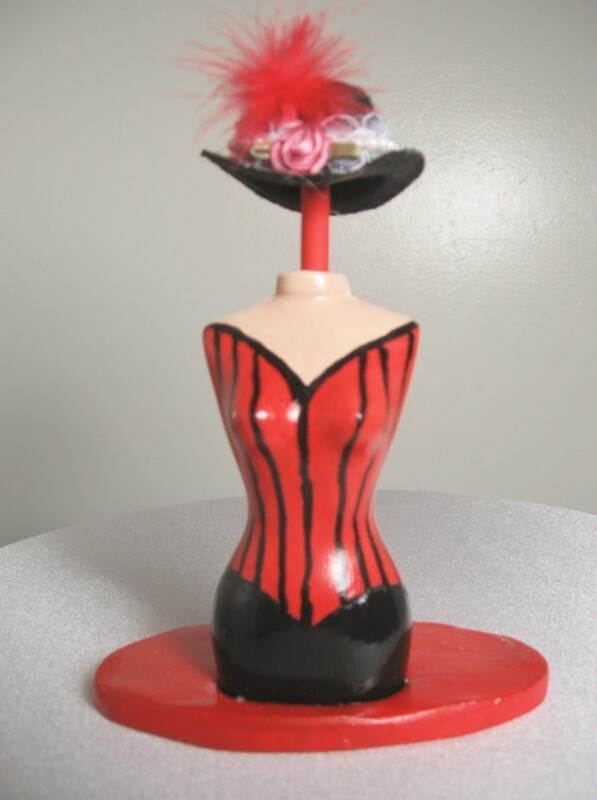 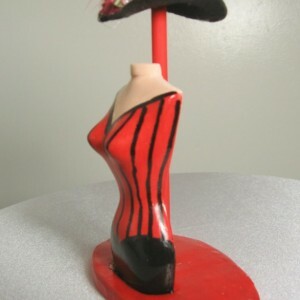 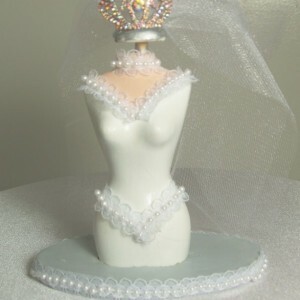 The can can is topped off with a tiny black hat trimmed with lace and pearls a mauve rose and red feather. 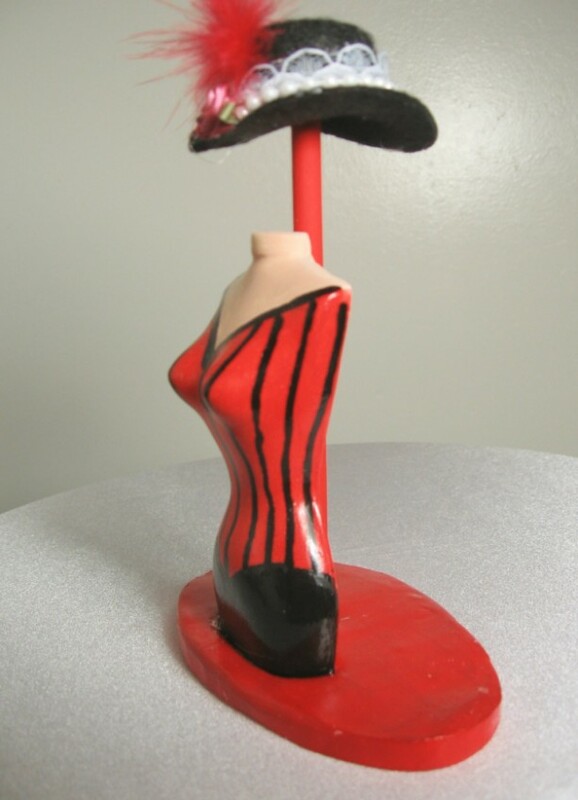 Dimensions: 6" from top of hat to bottom of base. 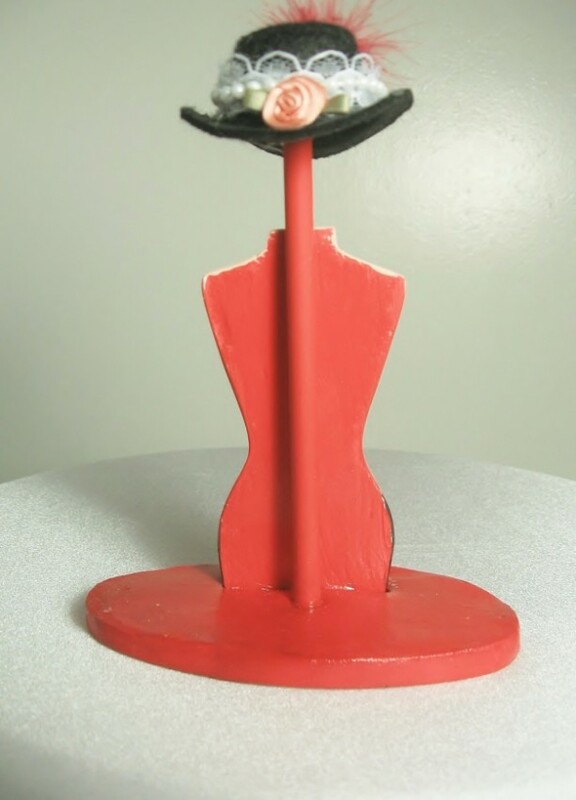 Base is 4 1/2 " in diameter.